Since 2015, husband and I have decided that resolutions for the new year aren't really our style. We're not the greatest at keeping them, and instead of setting ourselves up for the feeling of failure early on in the year, we decided that instead we would select a word we wanted to represent that year. A word that we could reflect on when things are going really great and when they aren't. At the end of each year, we look back on our word to see just how fitting it was. Where it was applicable and wasn't. And how far we had come. This year, we went with two words. Be still. 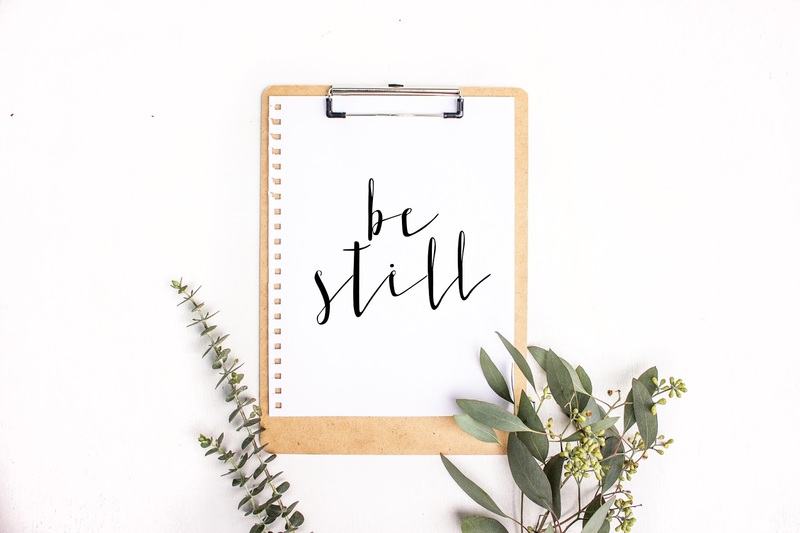 There is so much going on in our lives right now, and more than ever we really want to be still and let the Lord show us His will. We want to leave room for Him to work and relinquish control over the areas of our lives that we really aren't controlling in the first place. From jobs and parenting to house things and businesses, we want our prayer life to take the lead. For the stillness in our lives to give the Lord space to speak and for us to hear it. It already feels so calm on the third day of the new year, knowing that whatever this year brings, it will be from God. He can use all things for His good, His glory. And we're ready to welcome that with open arms instead of resistance from our wants and desires. Basically, we're ready to hand the reigns (entirely, completely, not reluctantly) over and let Him steer. We're hopeful that 2017 will be full of growth, answered prayers, pursued dreams, and intentional time in all facets of our lives. And we'll do it all while just being still. The Hills are so excited for what this year will hold, and where we'll find ourselves in a 365 day's time. If you had a word for 2017, what would it be?